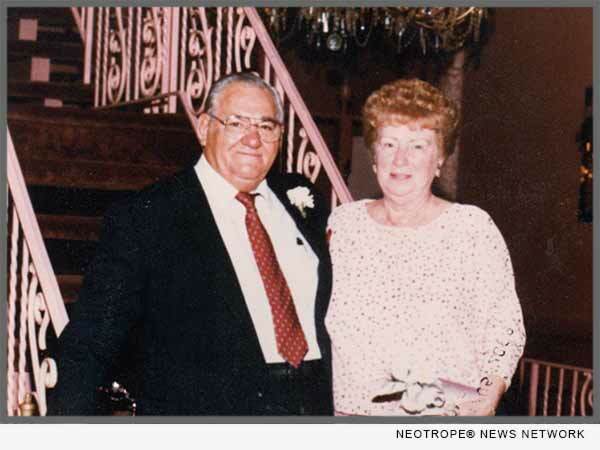 TAMPA, Fla. /Florida Newswire/ — The C Diff Foundation is pleased to announce the Michael and Helen Caralla, Sr. Educational Scholarship program. The scholarship program is to help health care students succeed and reach their educational goals. To apply for a C Diff Foundation; Michael and Helen Caralla, Sr. Educational Scholarship, the applicant must submit an application by May 1 of each calendar year. The C Diff Foundation selection committee chooses application recipients based on a submitted essay, letters of recommendation, a willingness to complete the Volunteer Service project to promote C. difficile infection awareness requirement, and financial need. Awards consist of annual scholarships that range in value from $750 to $1,500 USD. Recipients must reapply each year they attend post-secondary school and will be chosen based on their academic progress and mentoring performance. * A student and a high school graduate or have a General Educational Development a.k.a. General Educational Diploma (GED). * Enrolled full-time at an accredited post-secondary educational institution during the 2017-2018 academic year (If a foreign student is applying and is chosen, the educational scholarship awarded amount will be converted from USD to the educational institute location foreign currency exchange rate and rounded up to the nearest whole dollar). * Maintain full-time status throughout the 2017-2018 academic year in order to remain eligible. * Willing to complete a minimum of 50 volunteer hours promoting C. difficile infection prevention, treatments, and environmental safety awareness in their local communities per academic year awarded the educational scholarship. C. difficile infections can be acquired and diagnosed in infants and across the life-span with a higher risk involving our senior citizens and that is why it is imperative to learn about a C. difficile infection, its most common symptoms, the treatments available, and environmental safety products to prevent the spread of this spore-bacteria and to help reduce C. difficile infection recurrences. “When you apply to become a C Diff Foundation Scholar, you are taking the first step to determine your own future. The C Diff Foundation Scholars are individuals motivated and dedicated to making a difference in the health care community. We are excited to offer a scholarship program to help support health care students to advance their career path through the Michael and Helen Caralla, Sr. educational scholarship, a program in memory of our loving parents,” states Nancy C Caralla, Executive Director. The C Diff Foundation, a 501(c)(3) non-profit, founded in 2012 by Nancy C Caralla, a nurse diagnosed and treated for Clostridium difficile (C. diff.) infections. Through her own CDI journeys and witnessing the passing of her father, diagnosed with sepsis secondary to C. difficile infection involvement, Nancy recognized the need for greater awareness through education, the research being conducted by the government, industry, and academia and better advocacy on behalf of patients, healthcare professionals, and researchers worldwide working to address the public health threat posed by this devastating infection.